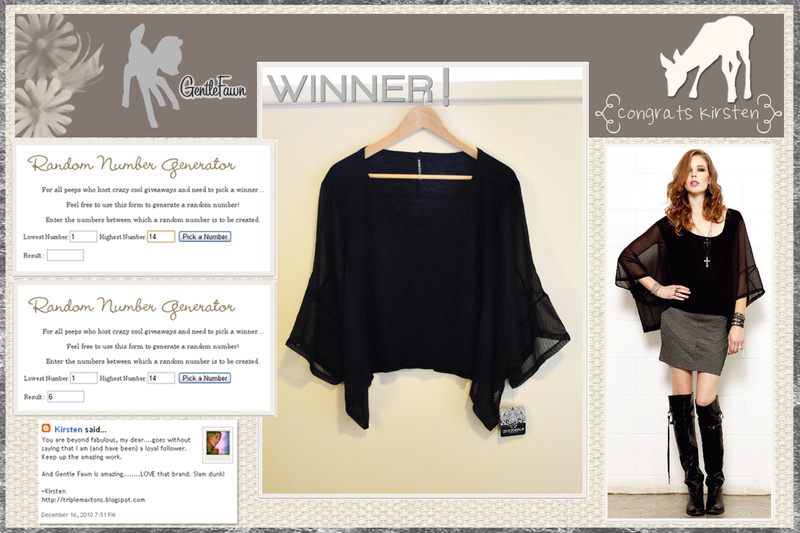 Got news tonight that I won this gorgeous sheer floaty top from Gentle Fawn.....YIPPPPEEEE! I can't wait to style this up and do a little street photog sesh. The wonderful and amazing Lynn from Hearted Girl (aka Ms. Santa Claus) hosted the fabulous giveaway, and I would strongly urge you all to make your way on over to her blog to check out all the wondrous things for yourself. Thank you, Lynn!!! wow- that is great. I checked out that site - nice line.thanks for posting.